Aveda Salons are founded on the common mission of caring for you and caring for our world around us. Our salon teams are trained to serve your every need and expertly care for you. During your time with us, you'll enjoy Aveda Rituals that will relax and transport you, such as: a cup of AVEDA Comforting Tea™; a sensory journey with Elemental Nature? aromas to enliven the senses; a stress-relieving scalp, neck and shoulders massage; a luxurious hand massage; makeup finishing touch or a Pure-Fume™ application to remind you of your salon experience! Our Aveda salon professionals are continually educated on the latest trends and techniques to transform your look with styles inspired by the fashion runways from around the world. Aveda professionals understand how to listen to your needs and provide you with a thorough consultation so you can be comfortable and confident during your salon/spa experience. Our full line of Aveda products allows you to re-create your salon experience or look at home. Made with organic and natural pure flower and plant ingredients, our products are proven to have powerful results, all while protecting and preserving our environment. At Aveda, we believe that Beauty is as Beauty Does? and live that mission every day through our use of 100% post-consumer recycled material in our packaging, 100% wind-generated power in our manufacturing and by donating more than $18 million dollars since 1999 to help clean and protect the environment. You can now buy Aveda products online through Salon Nouveau. 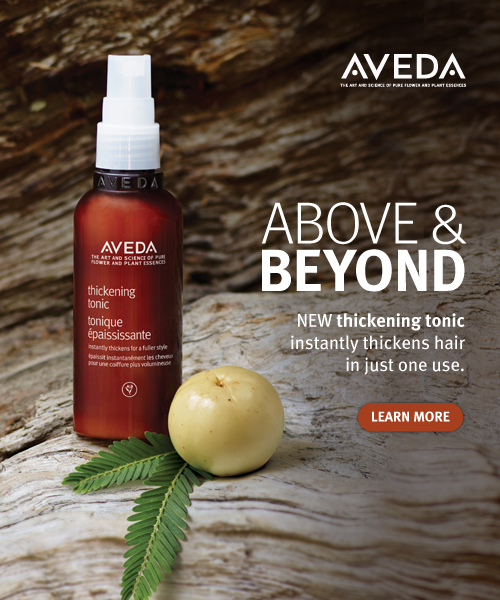 Order your favorite shampoos, conditioners and more directly from Aveda.com and have them delivered right to your door. You can now buy Aveda products online through Salon Nouveau. Order your favorite shampoos, conditioners and more directly from Aveda.com and have them delivered right to your door. “Our mission at Aveda is to care for the world we live in, from the products we make to the ways in which we give back to society. At Aveda, we strive to set an example for environmental leadership and responsibility, not just in the world of beauty, but around the world. Salon Nouveau is an Aveda Concept Salon and we are pleased to offer the Pure Privilege? rewards program. When you join, you will earn points on product purchases that can be redeemed for free gifts from Aveda! Earn rewards points with each purchase. Stop into Salon Nouveau to sign up today and start earning great rewards. Visit Aveda's Pure Privilege? site to learn more. Access your member account information and follow the prompts to request a reward online. You may also call Customer Service at 800.230.8051 to redeem a reward.